Reserve Your Space on Clan Row & Pay Fees Online Here! Print, Fill & Mail Your Registrations & Fees! The calling of the clans (registration) will begin at 5pm Friday. 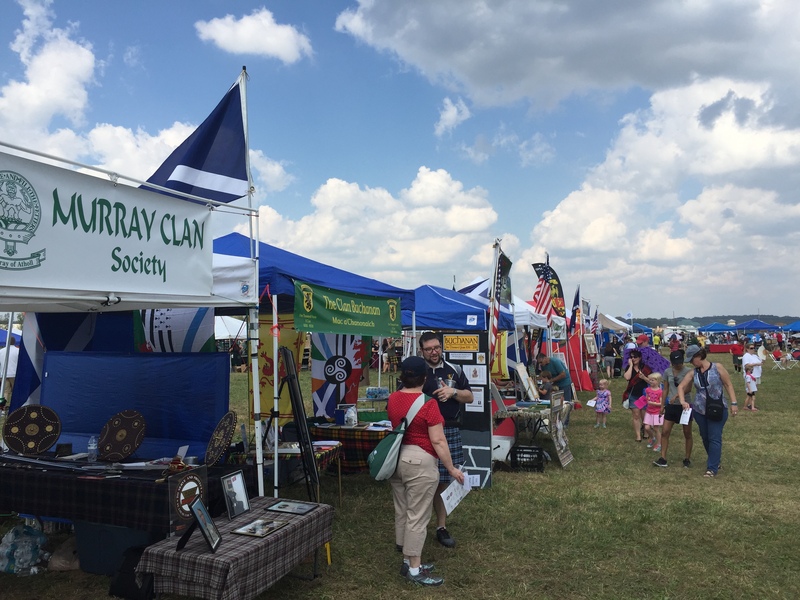 The St. Louis Scottish Games are a great opportunity to have a Clan annual meeting or get-together. Some Clans are already adding this type of meeting to their visit. If you have not had a chance to have a Clan meeting yet this year then please consider St Louis as that opportunity. You can register and submit your Clan Row fees here. On Friday there will be an opening Torchlight Ceremony ("Calling of the Clans") and each Clan is invited to send one representative wearing tartan. On Saturday we will have Scottish athletics, pipebands, Highland dancing, sheep dog demonstrations, folk music, storytelling, children's activities, and more. The Parade of Tartans will be around mid-day. For specific information contact James A. Slack via jim@thistleandclover.com.